Ever since I started blogging, I’ve become more and more online savvy. Most of the things I want, I get them online–airline tickets, hotel reservations, bags, clothes, shoes, shoes, shoes, shoes, shoes, shoes, shoe, shoessssssss. I just needed to emphasize how much shoes take up my online purchases’ pie chart. LOL! I can’t even remember the last time I bought shoes for myself from a physical store. It’s an addiction I tell you. And it can be a dangerous one especially if you’re using the great all-mighty credit card. “Confessions of a Shopaholic” ring a bell? This is the reason why whenever I shop online, I prefer using my new Metrobank Prepaid Card so that I’m ensured I’m spending within my means. 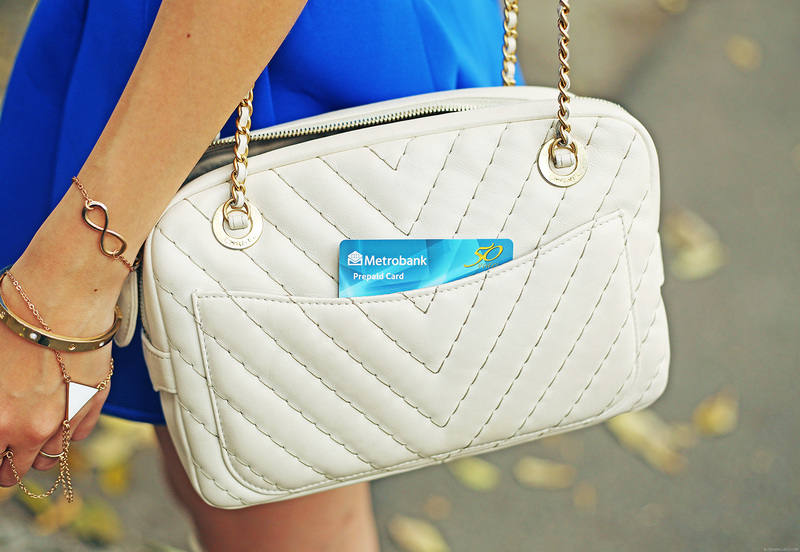 So what’s so special about the new Metrobank Prepaid Card? Unlike other debit cards, it has all the advantages of a debit card AND the perks of a credit card all rolled into one! You can not only access your funds nationwide at any Metrobank, Bancnet, Expressnet and Megalink ATMs and internationally at MasterCard, Maestro and Cirrus ATMs, but you can also swipe your card in all MasterCard-affiliated establishments worldwide and online–just like a credit card, except without having to worry about your bills ballooning because you’re only spending the money you’ve loaded into your Metrobank Prepaid Card. Don’t worry, loading your card can be done in a jiffy. You can do so in real-time via the Metrobankdirect website, by phone banking, mobile phone or through an ATM. No more long lines at the bank! You can also monitor your balance and transactions real-time. The advantages don’t end there, mind you. (Yes, there’s more.) Through this card, you can also enjoy so many different promos and freebies from establishments like Mr. Jones, HYVE, Marco Polo Plaza Cebu, Rocketroom, Cole Haan, Mossimo and more! You can learn more about these promos on www.livewithoutregrets.org. With so many perks, you might be waiting for the other shoe to drop. Maybe you’re thinking, “hmmm, it must be hard to apply for a card that’s too good to be true.” Nope! It’s super easy to apply for one. There’s no need to prepare so many documents (which is what I hate the most). All you have to do is visit a Metrobank branch, fill out an application form, present 1 valid ID and pay the PhP 100 fee for the card. In just a few minutes, you’ll have your Metrobank Prepaid Card in your hands, ready for use as soon as you set your PIN. There’s no maintaining balance and initial deposit required. It’s not connected to a bank account as well so your account is safe from hacking and skimming by unauthorized people. This is my kind of card–best used with technology, fast and secure. Now, I get to shop guilt-free and without regrets. So what did I use my Metrobank Prepaid Card on? Shoes, of course! Meet the latest additions to my collection–Alexander Wang heels that I purchased from Shopbop and Kurt Geiger slip-ons from LuisaViaRoma. My babies. i can totally relate to you with the SHOE-shopping online addiction. :)) but sometimes i ended up getting the wrong size because my feet is too big! haha! did it also happen to you? Your white leather bag is exquisite. Paano po paloloadan ung card and pwede po bang student ID gamitin? im loving your top! what is it? You’re smart to be so mindful of your spending….so many people get themselves into trouble with credit cards! The Wang heels are to DIE for! I’ve been eyeing them forever….LOVE them! Can we have a peek of your shoe collection?? Hahaha! I love your infinity bracelet Ms. Camille.